Meet Renai & Paul - I know this couple fairly well, I see them almost everyday in fact as they are my next door neighbours. 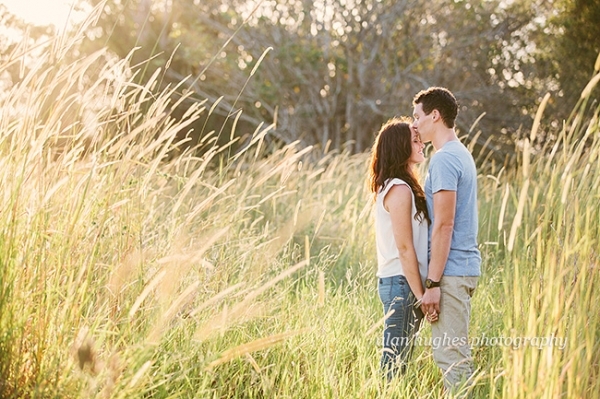 We caught up for their pre-wedding shoot as they're getting married in April in Noosa Hidden Grove with their reception at the Noosa Boathouse Restaurant. Now this was one eventful shoot with a series of unfortunate and possible unfortunate events - it's amazing we got any images at all - let alone the beauty you see below. There was the near fatal car accident we happened upon on the way to the shoot, the sinister feeling someone was watching us from the deserted shed and then Renai's worst fear...snakes! I can't wait for their wedding - especially as I only have to pop next door for the girls getting ready!